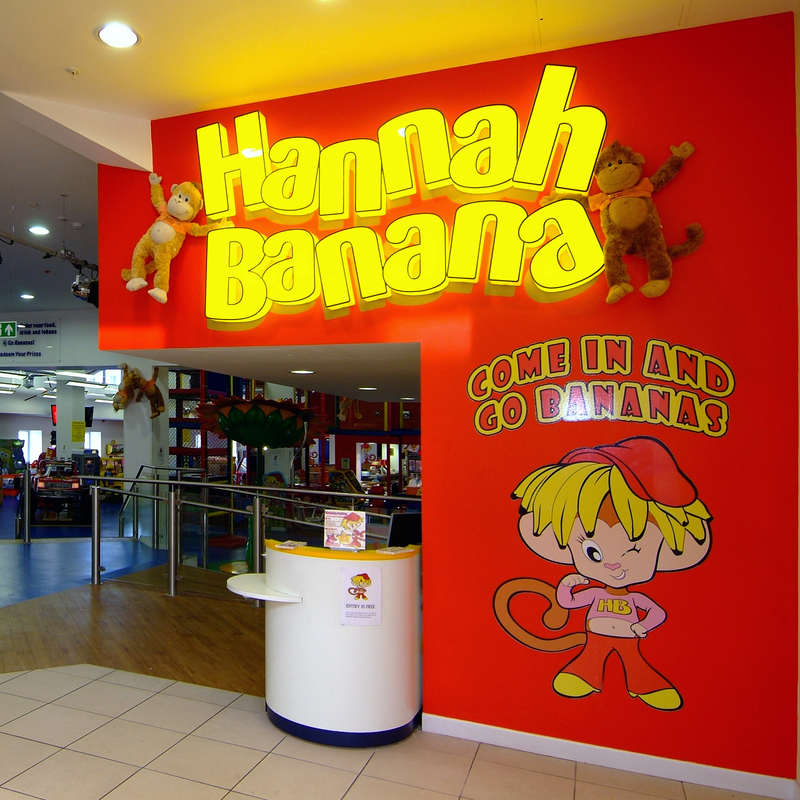 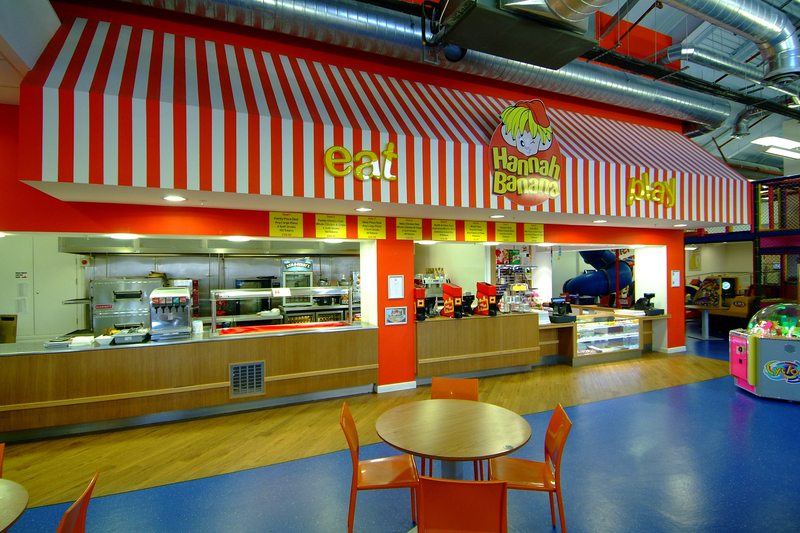 Hannah Banana was conceived to be the U.K. version of the American Chuck.E.Cheese chain of child ‘Eatertainment’ restaurants. 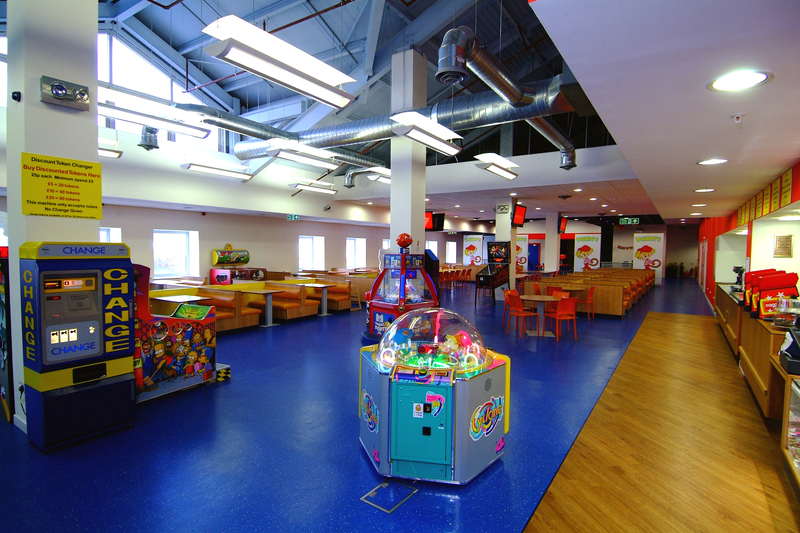 This 1022 m² facility at Lakeside shopping Centre offers an American menu with redemption linked activities for children. 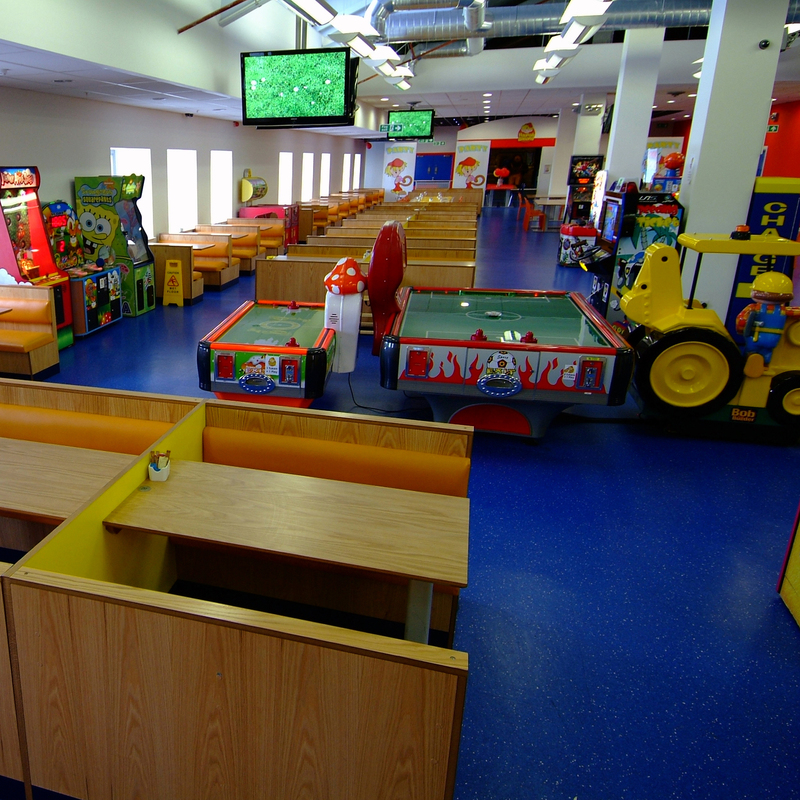 Unique to the restaurant in the UK is the animatronic children’s party area that features a stage with a singing Hannah Banana accompanied by a banjo playing bear called Billy Bob!